No late night parties, no smoking, no loud quarrels, no cleaning costs when the tenant skips out in 6 months. This tenant is just no trouble at all and pays promptly every month. Yes, you get to pocket the big bucks as your model tenant quietly pays rent on your most un-rentable room! And who is this model tenant? The sun. The local utility in San Antonio, Texas, CPS Energy hired PowerFin Partners to install solar on the roofs for any homeowner who’d like to earn rent by hosting a solar array to feed clean energy onto the grid. The rental rate these Texans get is $0.03 cents a kWh for the power the rooftop array produces. On typical homes in the district, this comes to about $20 a month, but depending on the size of the roof, this could amount to more for the utility’s customers that have larger than average roofs. The $20 is credited to their utility bills. The program has caught the attention of homeowners in the area. It was just announced in September 2015 and received 4,000 applications in the first few months. In some ways the idea is a familiar one to Texans, making this a very clever marketing approach by this San Antonia utility. It is a pretty straightforward transaction. In return for hosting the solar array that will feed clean energy to their neighborhood grid, these solar landladies and landlords need do nothing but sign a 20 year rental agreement. “We come in, we provide all the capital, we buy the equipment, we install it on their rooftop, we operate it and we maintain it long-term,” Pittman said. It also is a smart way to bring clean energy to poorer neighborhoods. This utility’s district has about 28,000 solar homes – but not in the poorer part of town, which is a solar desert. 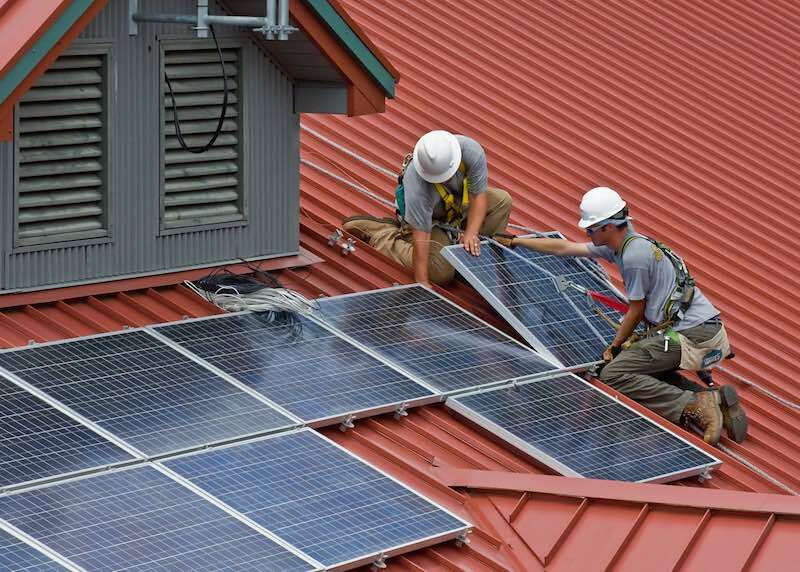 The SolarHost concept would also be ideal for many utility customers in any kinds of neighborhoods, who just have no appetite for going to the bank and taking out a second mortgage to buy perhaps a $10,000 solar project, repayable in monthly installments – even if the monthly savings would likely be much more than $20. For those too lazy or too busy to think about solar this utility option also makes real sense – buying your own is just so much more effort! If you are in the San Antonio utility district and would like to host solar, contact the SolarHost program to see if your home can qualify for the program; having sufficient southern to western sun exposure and very little shade, and with a roof under 10 years old.